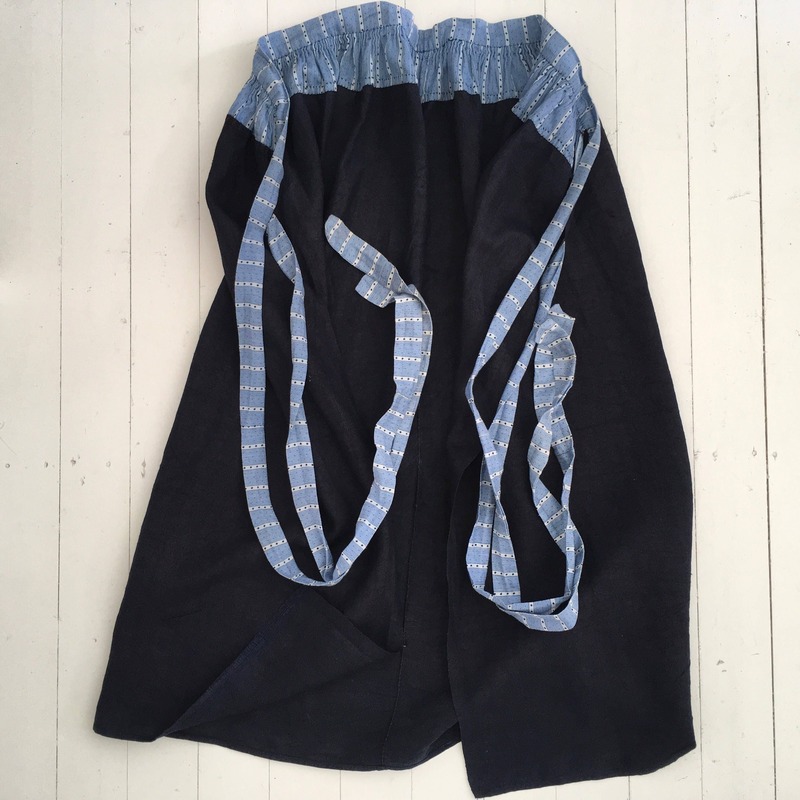 This is a vintage Dutch apron made from dyed indigo linen from the 1940's. 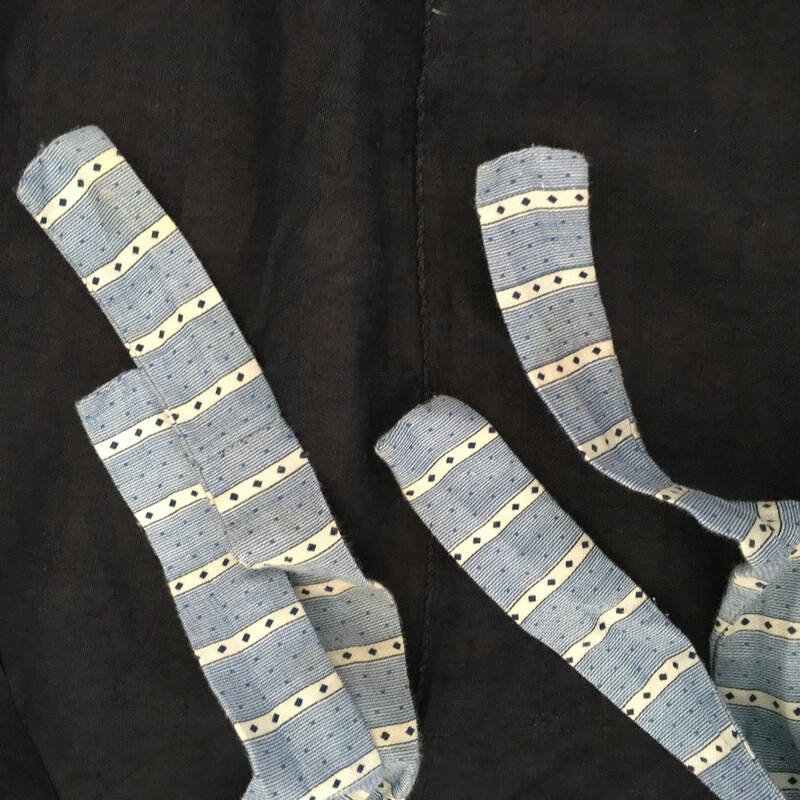 The ties are checked cotton fabric in pale blue and yellow stripes and spots. 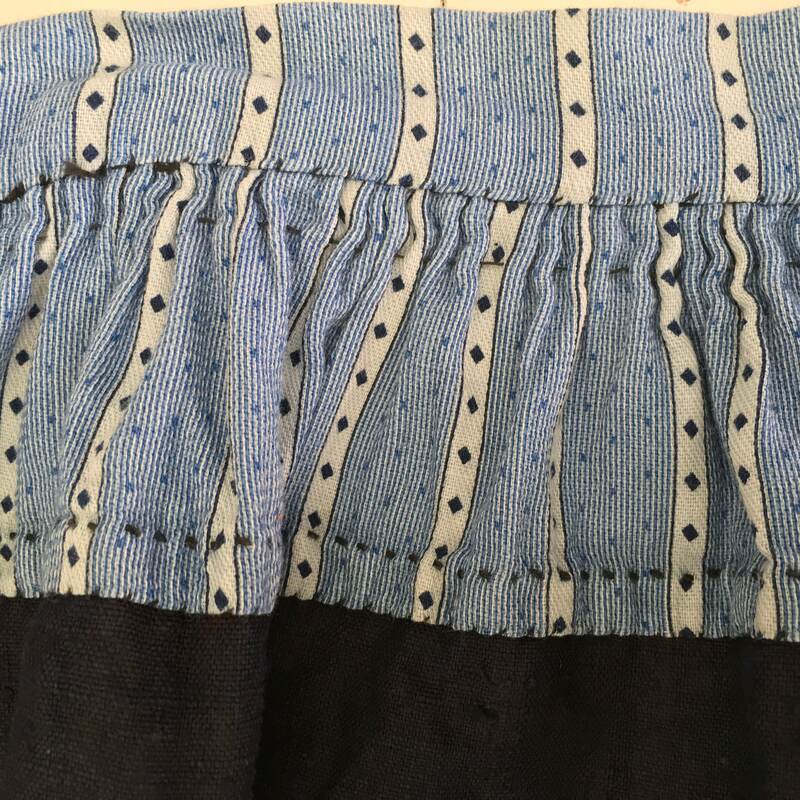 There are two ties on each side which are a metre long. 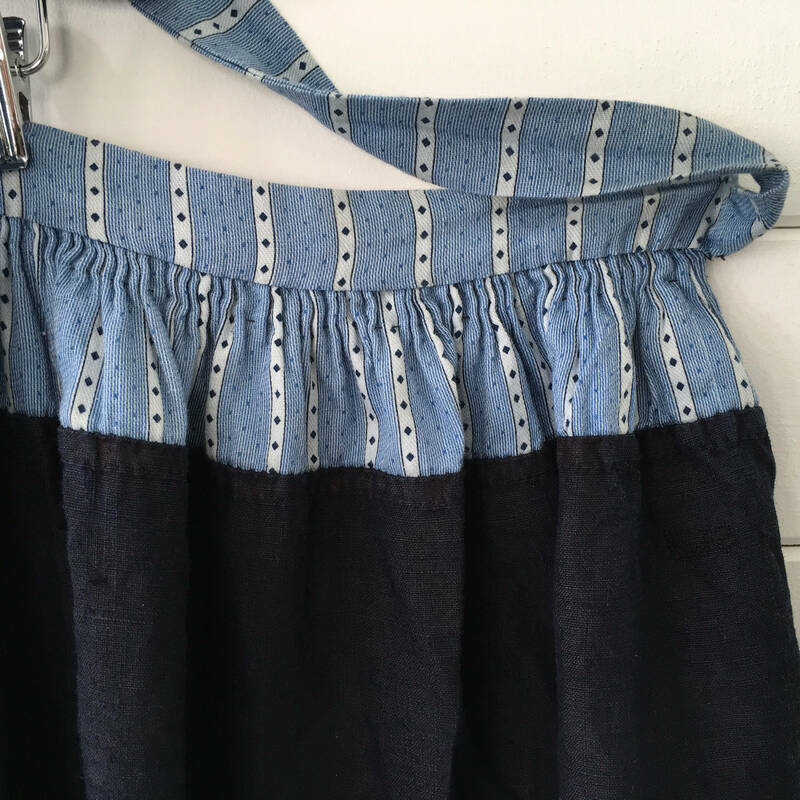 This could be worn as a wrap-around skirt or made into fisherman style trousers. There is lots of fabric for a sewing project. 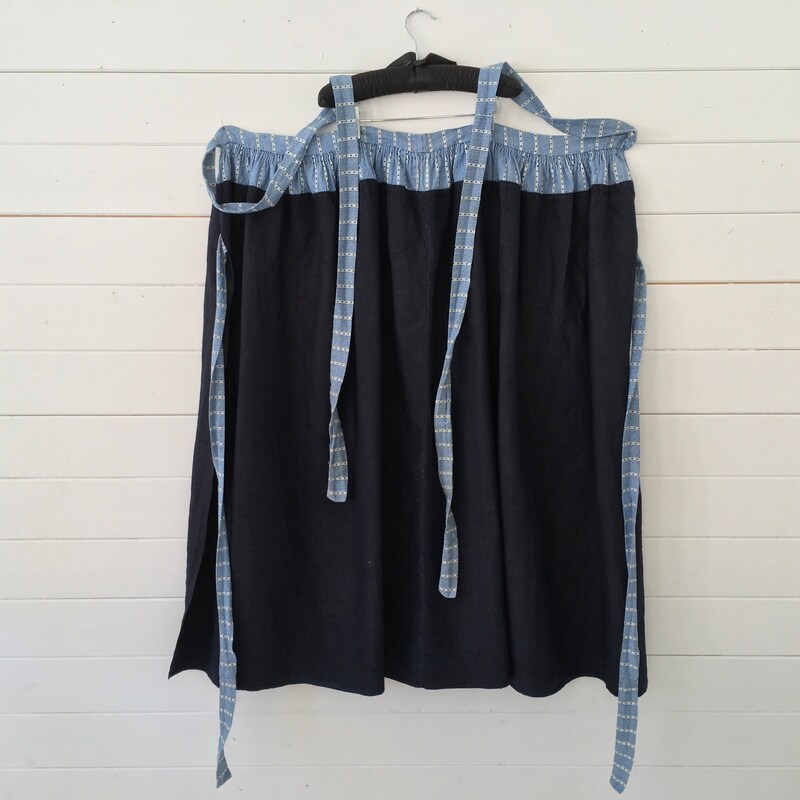 These aprons are old, but in good condition, the photos act as part of the description, there maybe some patches of faded fabric or a loose thread, as this apron has had a whole life before being listed here on Etsy.